The Cr/SiO2 Phillips ethylene polymerization catalyst system is responsible for over 40% of all High-Density Polyethylene Production worldwide. Despite this system being used for over 60 years, there still is no consensus on its exact working state with respect to formation of the active site and related ethylene polymerization. 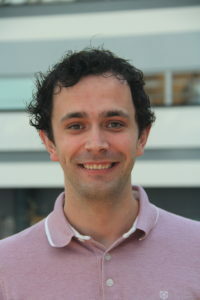 The focus of my research is on investigating the influence of metal-alkyl co-catalysts on active site formation and related ethylene polymerization with advanced spectroscopic and microscopic techniques.